Stanford Advanced Materials (SAM) can supply high quality tungsten carbide/nickel/chromium powder with the most competitive price. 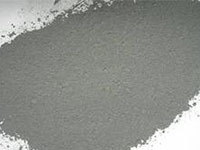 Tungsten Carbide/Nickel/Chromium Powder consists of a self-fluxing alloy blended with a hard phase constituent of tungsten carbide in a nickel matrix. Coating of this material is resistant to abrasive grains, hard surfaces, fretting and particle erosion. Tungsten Carbide/Nickel/Chromium Powder can be used in components of turbomachinery, automotive, petrochemical, hydroelectric and agricultural applications.